This is the site of Downham Union Workhouse, designed by Donthorne and constructed in 1836 to replace an earlier workhouse located elsewhere. 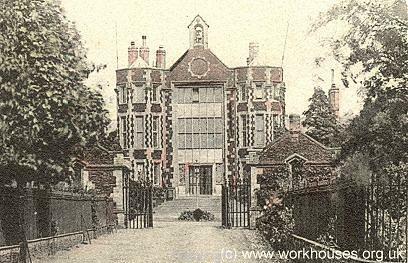 Similar in design to Aylsham workhouse (NHER 7416), it was constructed in Elizabethan style with a central gatehouse. Two carstone lodges (NHER 60063 and NHER 60064) and an entrance court were added in the mid-19th century. The workhouse was demolished soemtime in the early 20th century and Howdale Home was built on the site. Howdale House was then demolished in the 1960s and modern old peoples' houses were built on the site. The lodges (NHER 60063 and NHER 60064) and entrance court still remain. Site of workhouse. Built 1836 by Donthorne in Elizabethan style, with central gatehouse. This century became the Howdale Home. Demolished 1960s. Modern old peoples' houses over site. The workhouse replaced an older building on a different site. Lodges were added before 1887 and these still remain, as does the entrance court now a garden. E. Rose (NLA), 22 March 1999. The lodges previously recorded under this number are now recorded under NHER 60063 and NHER 60064.